e-IRG Workshop, 9 March 2016, Amsterdam. Rene Belso is head of Development and International Relations of Danish e-Infrastructure Cooperation (DeIC) and Independent Expert to the European Commission. He was Director of Danisch Center for Scientific Computing from 2007 until 2012. Previous to that he was employed as senior policy advisor for Nordic Council of Ministers, head of Section for Danish Ministry of Rerearch and Technology, Business administrator for Power-Flex ApS, Consultant for Vastex Limited, Research Assistant for Danish Institute for International Studies and Telecommunications Operator at East Asiatic Compant Ltd.
Erik Fledderus is managing director of SURF and chair of its Executive Board. He is e-IRG delegate for the Netherlands. Mr. Fledderus previously worked as the managing director of the Information Society at the Netherlands Organisation for Applied Scientific Research (TNO) and he has been a principal ICT scientist. As a professor of Wireless Communication, he also works at Eindhoven University of Technology. He has over 20 years of technical and managerial experience in various positions at organisations such as the University of Twente, KPN Research, TNO, the Knowledge Platform on Electromagnetic Fields and Health, CLICKNL, and the Joint Institute for Innovation Policy (JIIP). Since Oct 2015 Erik chairs the DG Connect Advisory Forum. Prof. Hazeleger serves as director of the Netherlands eScience Center, a center that connects e-infrastructure, data and computer science with applications in scientific domains. He also has a chair in Climate Dynamics at Wageningen University (NL). At Wageningen University and Reading University (UK), he studied meteorology. Prof. Hazeleger received his PhD in 1999 in physical oceanography from Utrecht University, after which he went to Columbia University in New York to conduct research on climate variability. In 2002 he started working at KNMI (Royal NetherlandsMeteorological Institute) on climate dynamics, climate and sea level scenarios and development of global numerical Earth system models. From 2006 to 2014 Hazeleger led a division at KNMI on Global Climate research, and he was Acting Head of Regional Climate Division and Acting Director of the research department on Climate and Seismology Research. He (co)authored over 90 refereed publications on numerical climate modelling, variability, predictability, climate change and adaptation to climate change. Prof. Hazeleger serves on a number of international and national science committees, including the advisory committees of ECMWF, UK Met Office and the Swedish eScience Research Center. Bob is the coordinator of the HNSciCloud Horizon 2020 project. Driven by the Pre-Commercial Procurement (PCP) commitment of leading research organisations from across Europe, HNSciCloud creates a competitive marketplace of innovative cloud services serving scientific users from a wide range of domains (19573-2016). The marketplace builds on a hybrid cloud platform including commercial cloud service providers, publicly funded e-infrastructures and buyers' in-house resources. Bob was one of the founders of the Helix Nebula initiative (http://www.helix-nebula.eu/), a public private partnership to explore the use of commercial cloud services for science applications. Bob is also the coordinator of the Procurement Innovation for Cloud Service in Europe (PICSE http://www.picse.eu/) project to raise awareness of procurement of cloud services for the public sector. Bob participates in the EIROforum IT Working Group (http://www.eiroforum.org/) and is the editor of the published series of e-infrastructure documents (http://dx.doi.org/10.5281/zenodo.34264, http://dx.doi.org/10.5281/zenodo.13148, http://dx.doi.org/10.5281/zenodo.7592). Bob was until 2014 the head of the CERN openlab project (openlab.cern.ch) which is a unique public-private partnership between CERN and leading ICT companies. Its mission is to accelerate the development of cutting-edge solutions to be used by the worldwide Large Hadron Collider (LHC) community and wider scientific research. His experience in the distributed computing arena includes mandates as the technical director and then project director of the EGEE projects (2004-2010) which led to the creation of EGI (http://www.egi.eu/). Cees de Laat is a full professor at University of Amsterdam. His research interests include optical and switched networking and workflows for processing of big data in PetaScale e-Science applications, Semantic Web to describe e-infrastructure resources, and Systems Security & privacy of information in distributed environments. Prof. de Laat serves on the Lawrence Berkeley Laboratory Policy Board on ESnet, is co-founder of the Global Lambda Integrated Facility (GLIF), and GRIDforum.nl and founding member of CineGrid.org and member of IEEE and ACM. For more info: http://delaat.net/. Barend Mons is a molecular biologist by training (PhD Leiden University 1986) and spent over 15 years in malaria research. After that he gained experience in computer-assisted knowledge discovery, which is still his research focus. He spent time with the European Commission (1993-1996) and with the Netherlands Organisation for Scientific Research (NWO). Barend also co-founded several spin off companies. Currently, Barend is Professor in Biosemantics at the Human Genetics department of Leiden University Medical Center, is Head of Node for ELIXIR-NL at the Dutch Techcentre for Life Sciences, Integrator Life Sciences at the Netherlands eScience Center, and board member of the Leiden Centre of Data Science. 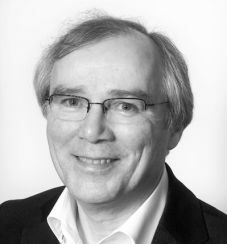 In 2014, Barend initiated the FAIR data initiative and in 2015, Barend Mons was appointed Chair of the European Commission's High Level Expert Group for the "European Open Science Cloud". Kees Neggers is one of the key figures in the development of international research networking and the internet. He co-founded and developed organisations like RARE-TERENA-GEANT, CCIRN, Ebone, AMS-IX, RIPE NCC, the Internet Society and GLIF. He served as Managing Director of SURFnet from SURFnet's start in 1988 until his retirement mid-2012 and was CEO of SURF from July 2014 until May 2015. In 2002, Neggers became "ICT Personality of the Year" in the Netherlands, in 2012 he was appointed Officer in the Order of Orange-Nassau and in 2013 he was inducted as a Pioneer in the Internet Hall of Fame. Arjen van Rijn is institute manager of the Dutch National Institute for Subatomic Physics (Nikhef) since 1999. Through the Nikhef activities in networking and distributed computing, and in particular in his role as project leader of the Dutch BiG Grid project (2007-2012), he became involved in the national e-infrastructure, coordinated by SURF. He was one of the founders of EGI.eu and member of its Executive Board in the years 2010 - 2014. He is a Dutch e-IRG delegate since July 2012. Giorgio Rossi is Professor of Physics at the Università degli Studi di Milano; he leads the APE (Advanced Photoelectric Effect Experiments) and NFFA group at CNR-IOM and Elettra in Trieste performing research in surface and interface science and operating advanced synchrotron radiation beamlines and in-situ growth laboratories that are open to users. He coordinates the NFFA-Europe (Nano Foundries and Fine Analysis) European infrastructure since 2008. He is currently vice-president of ESFRI and Chair of the Physical Science and Engineering Strategy Work Group. He has been elected as next Chair of ESFRI, starting in July 2016. Director, National Center for Supercomputing Applications at the University of Illinois at Urbana-Champaign, Founder Professor of Physics, Professor of Astronomy. 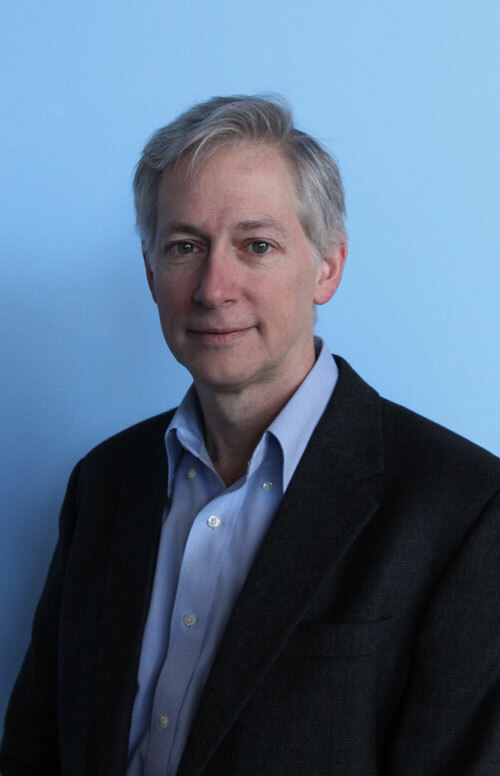 NCSA director Edward Seidel is a distinguished researcher in high-performance computing and relativity and astrophysics with an outstanding track record as an administrator. In addition to leading NCSA, he is also a Founder Professor in the University of Illinois Department of Physics and a professor in the Department of Astronomy. His previous leadership roles include serving as the senior vice president for research and innovation at the Skolkovo Institute of Science and Technology in Moscow, directing the Office of Cyberinfrastructure and serving as assistant director for Mathematical and Physical Sciences at the U.S. National Science Foundation, and leading the Center for Computation and Technology at Louisiana State University. He also led the numerical relativity group at the Max Planck Institute for Gravitational Physics (Albert Einstein Institute) in Germany, and before that he was a senior research scientist leading the numerical relativity group at NCSA. Seidel is a fellow of the American Physical Society and of the American Association for the Advancement of Science, as well as a member of the Institute of Electrical and Electronics Engineers and the Society for Industrial and Applied Mathematics. His rdesearch has been recognized by a number of awards, including the 2006 IEEE Sidney Fernbach Award, the 2001 Gordon Bell Prize, and 1998 Heinz-Billing-Award. He earned a bachelor's degree in mathematics and physics from the College of William and Mary, a master's degree in physics at the University of Pennsylvania in 1983, and a doctorate in relativistic astrophysics at Yale University in 1988. Mick Symonds is Principal Solutions Architect for Atos, based in The Netherlands. He has worked in the IT services business for over 40 years and has held a wide range of roles, from technician to marketing, from general management to consulting. A particular focus has been on the ongoing management of IT infrastructure services and their development. He has been responsible for the development of Atos' global data centre and cloud strategies, and as a by-product has produced comprehensive White Papers on these and other subjects (downloadable from the Atos web site). Much of his time in the last five years has been devoted to the development of Helix Nebula (http://www.helix-nebula.eu/), a European initiative to deliver federated cloud services to public organisations, starting with the scientific research community. Within that initiative he has been chairing the Suppliers side. He has also spent much time and effort on discussions with the European Commission on cloud-related matters.